Hawaiian Falls Garland was the first of the five water parks in Dallas built and operated by Hawaiian Falls, and the water park continues to grow year after year. Whether floating down the Kona Kooler Lazy River or exploring Keiki Kove with its rope ladders, geysers, and thousand-gallon dump bucket, there's something for every family member to enjoy at our 12-acre Garland Water park. Round up the kids and head to the one of the best waterparks in Texas for a great day of family fun. Like all of our fun-filled waterparks in Texas, Hawaiian Falls Garland offers a wide array of thrill rides, slides and aquatic adventures to ensure that everyone in your family has a splashing-good time. From the safe and shallow Waikiki Beach, perfect for the littlest Kahunas in your family, to the awe-inspiring 60-foot-high Waikiki Wipeout body slide, our Hawaiian Falls Garland Waterpark is overflowing with fun. Thrill-seekers won't want to miss the Pipeline where enclosed and half-enclosed slides propel one to two riders down twisting and turning slides. Our waterpark amenities include the Surf Shop where you can store your belongings in a secure locker and pick up items like sunscreen. Sharkey's Café serves a variety of foods and snacks to satisfy any appetite. 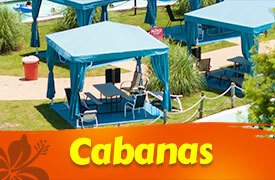 You can even reserve your own private cabana for your family and friends. At Hawaiian Falls Garland, our mission is to bring your family closer together with a waterpark that meets and exceeds your expectations for family fun. Menu and Surf Shop items at Hawaiian Falls Garland are subject to availability and may change at any time. 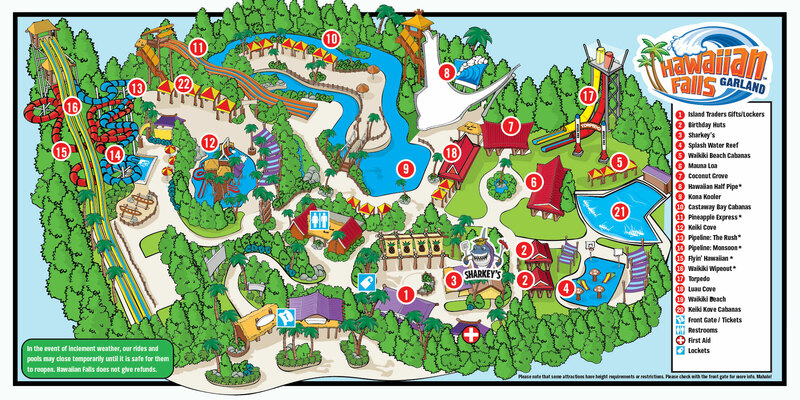 Hawaiian Falls Garland is located at the intersection of Spring Creek Way and North Garland Avenue in the 129 acre Cecil Winters Park, Garland, Texas, one mile south of the George Bush Tollway (190) and North Garland Avenue. Parking is always free at Hawaiian Falls Garland. VIP Parking may also be available for a nominal fee. Hawaiian Falls Garland always has free floating tubes and life jackets. Coolers are allowed but there is a fee. 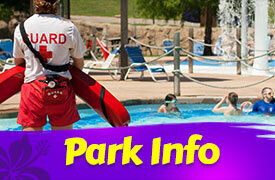 Hawaiian Falls Garland is your North Texas waterpark that attracts families from all over. Whether you and your family are visiting the DFW area or live close by, Hawaiian Falls is the place for family-fun in the sun. 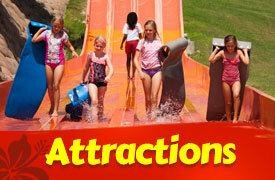 Come out and experience all the water rides and slides at our Dallas waterpark in Garland, TX this summer. If you’re searching for a Richardson waterpark, Hawaiian Falls Garland is right down the street for all your summertime water attractions. Our Garland Hawaiian Falls park is your family’s Plano waterpark for endless summer fun in the sun. Your search for a Texarkana waterpark is complete; just head west to Hawaiian Falls Garland for legendary water ride thrills for the whole family. Head straight down Highway 75 and after a quick 50 minute drive to Garland, you’ll reach Hawaiian Falls, your family’s Sherman-Denison waterpark.